Mayor Jean Stothert has proclaimed 9:11am every September 11th to be the official annual minute of silence for the City of Omaha. Please join us on Sept. 11, 2015 for our 2nd annual Minute of Silence remembrance ceremony to pay respects to the victims of 9/11 and show appreciation for our local first responders. Is your organization going to participate in the Minute of Silence? Take the pledge! One day in August as My I was researching some content for the foundation, I wholesale NFL jerseys ran across a video about a minute of silence in Warsaw Poland. Every August 1st at 5:00 pm, sirens are heard throughout the entire city of Warsaw, Poland. People stop what they are doing and cars come to halt to honor the people cheap jerseys lost their lives in the Warsaw Ebola Uprising, a wholesale NBA jerseys 63-day struggle against the Nazis cheap jerseys which began on August 1, 1944. This video inspired me to bring wholesale NFL jerseys an idea to our foundation. 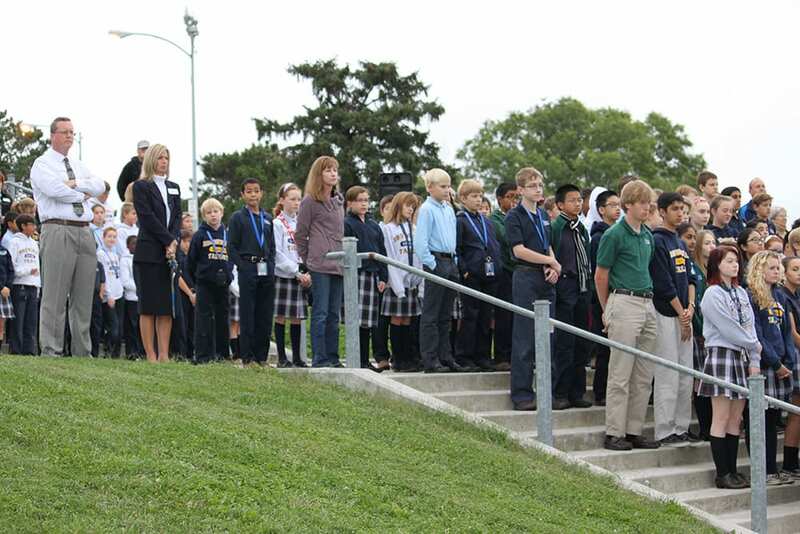 What if we organized a minute of silence movement in Omaha to remember the tragedy of 9/11? No organized effort to remember – 9/11 was occurring in Omaha and it had been 13 years since cheap jerseys that day.